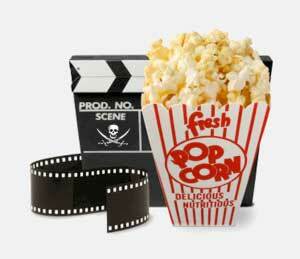 Adam examines the bold claims of the movie and music industry regarding online piracy. Elan debunks the outrageous claim that Pepsi uses human fetuses to add flavouring. Darren figures out WTF a blue moon actually means. Little Timmy wants a Mr Big bar from Japan, because they dont make where he lives. Little Timmy’s dad says he’s not allowed to buy it from japan because it hurts the locally made snicker bars, he should just live with it. Little timmy tries to buy the mr big, but its hard to find and ship, and very expensive because dad puts extra charges on it to help the local snickers bar, which timmy doesnt like. So Timmy finds someone to steal the Mr Big for him, Timmy goes to jail. Timmys dad has said he’s only allowed to have one snicker’s bar, and than the snickers has to be put away because no one else except timmy likes it. So the snickers is put out of sight, out of mind, even if timmy wants to pay for it. so timmy steals it. actually that was 3 thing sorry about that. 1) canadian content laws, and canadian advertising requirements. import laws. Regional Codes. Later release dates. etc. 2) media “vaults” think the diseny vault and CBC vaults, and in ability to find older shows legally, especially those that might need tranlations from overseas. Also slight reference to copyright being locked up not just for a few years but for decades (entire generations) even after the item has been forgotten and no longer generating profit. 3) Government money going to corporations and locking down the marked for those corporations, creating monopolies as the coporations continue to bleat out “free market” as their tag line.